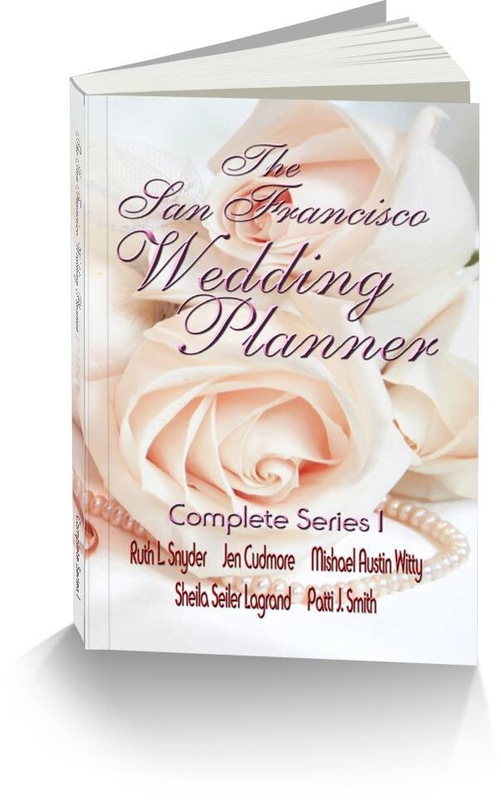 The author team of “The San Francisco Wedding Planner” will be releasing the “Complete Series” ebook & paperback this Thursday evening! Who is on the author team? Jen Cudmore,Patti J. Smith, Mishael Austin Witty, Sheila Seiler Lagrand,and Ruth L. Snyder! Heather Donovan has no time for her own romance—she’s busy making wedding dreams come true for other people and trying to reel her lonely and lovesick widowed mom Gloria back from beyond the brink of good taste. Her receptionist, Raul, is as interested in his hair style as he is in the clients. Indigo, the wedding photographer, never goes anywhere without his beret—or his attitude. Toss in Skye, the mommy-track best friend who wants to breathe organic air, Mario, the talented, hotheaded caterer with an eye for the ladies, and a tall, dark, and handsome stranger visiting the office on the eve of the busiest weekend ever, and you have a recipe for disaster. Or love. Or maybe both? Along the way discover how duck-hunter ice sculptures end up as rehearsal dinner décor at an upscale hotel, why the young doctor has a broken heart, and whose will prevails when the photographer challenges a young couple’s vision of the perfect wedding. 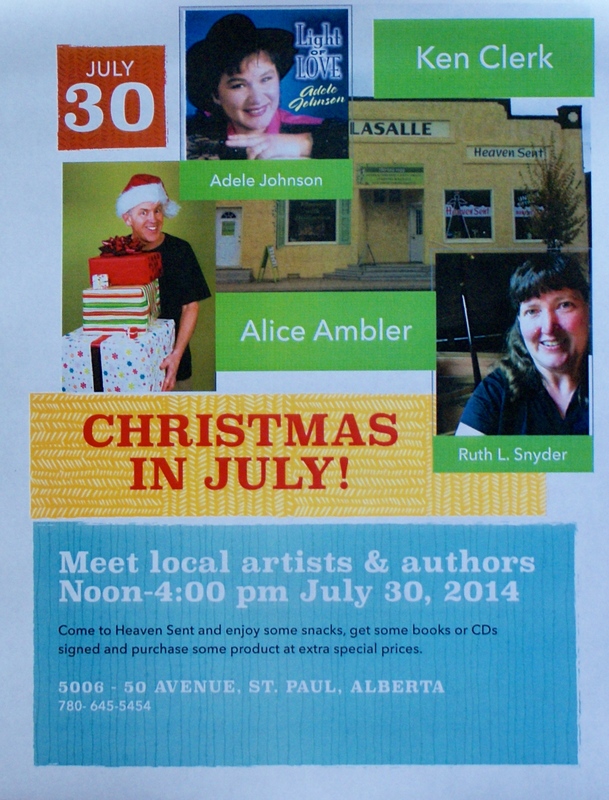 On July 30th I’ll be at Heaven Sent in St. Paul from noon to 4 pm to meet you and sign copies of the books to which I’ve contributed. Copies of Rise, The Kathi Macias 12 Days of Christmas, and The San Francisco Wedding Planner will be available for purchase at special prices. I look forward to seeing you there!